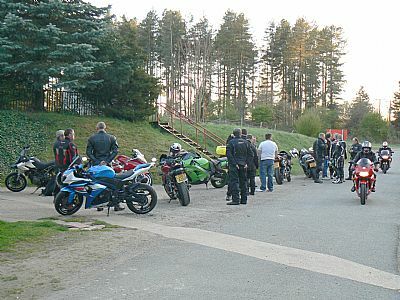 Thetford & District Motorcycle Club was founded in February 2001 by Bob Lovelock with a view to providing a meeting place where motorcyclists from all walks of life could get together for social events, ride-outs and to raise funds for local good causes.They initially thought that the club would attract 10-20 members from our local area. However, it soon became apparent there was a high demand for a bike club, not just locally but over what appeared to be a 50-mile radius. All types of bikes, scooters or trikes are welcome and catered for - our membership includes men and ladies of all ages, newbies to old hands, and from a wide variety of backgrounds. 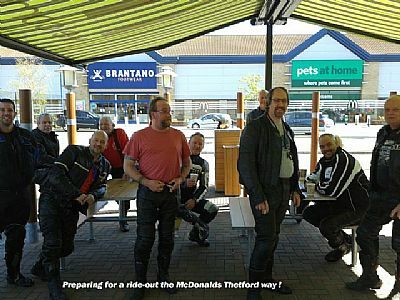 So if you enjoy motor-cycles and would like to meet some like-minded souls please do come along to any of our club meetings.We meet at the Thetford Rugby Club, just outside Thetford on the A134 Mundford Rd. Meetings are held at 8:00pm every other Thursday throughout the year (look on our TDMCC Calendar for dates). Why not come to a meeting and see what goes on, you will be under no obligation to join, but we do hope you will ! You can now find our official Facebook page via the following link: Facebook this page is publicly viewable; we have a separate page for club members only.